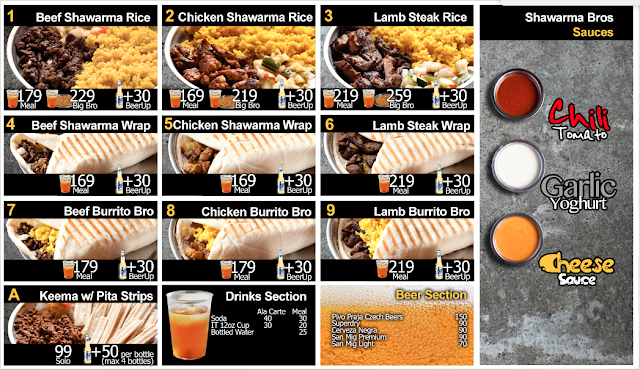 Whether its with rice, in a wrap or in a burrito, you can definitely fulfill your shawarma cravings at Shawarma Bros. Giving you the freedom to choose your bro sauce, you can decide whether you like your shawarma experience be cheesy, spicy or garlicky. Tired of the usual beef shawarma? 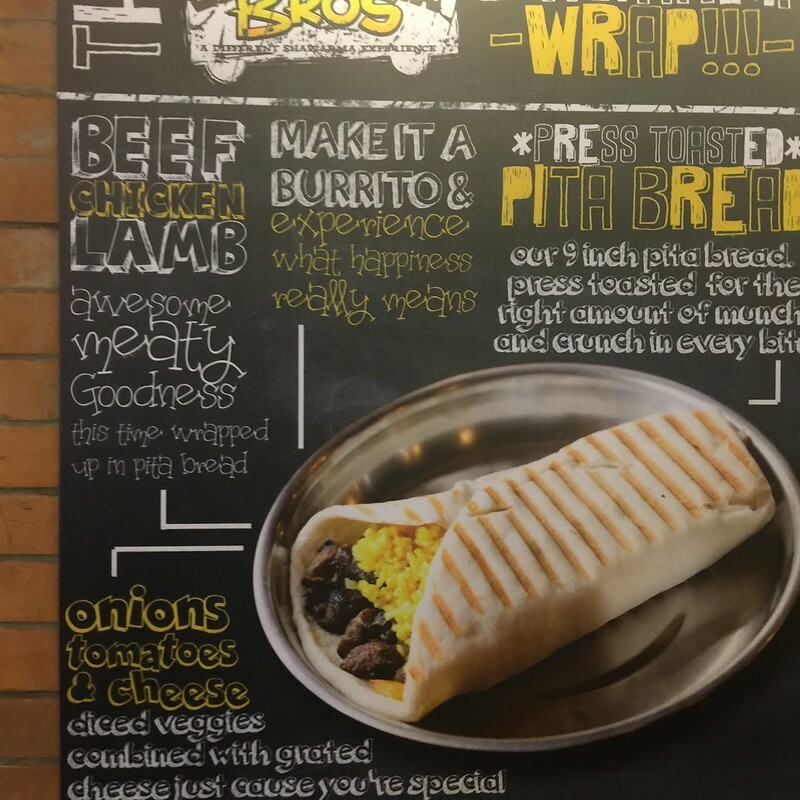 Shawarma Bros also offers chicken, lamb steak and keema. It usually comes with a free drink that you can upgrade to your favorite beer when you add Php 30. You can also enjoy their appetizers, such as their pita tostada and garlic hummus as you wait for the main dish. 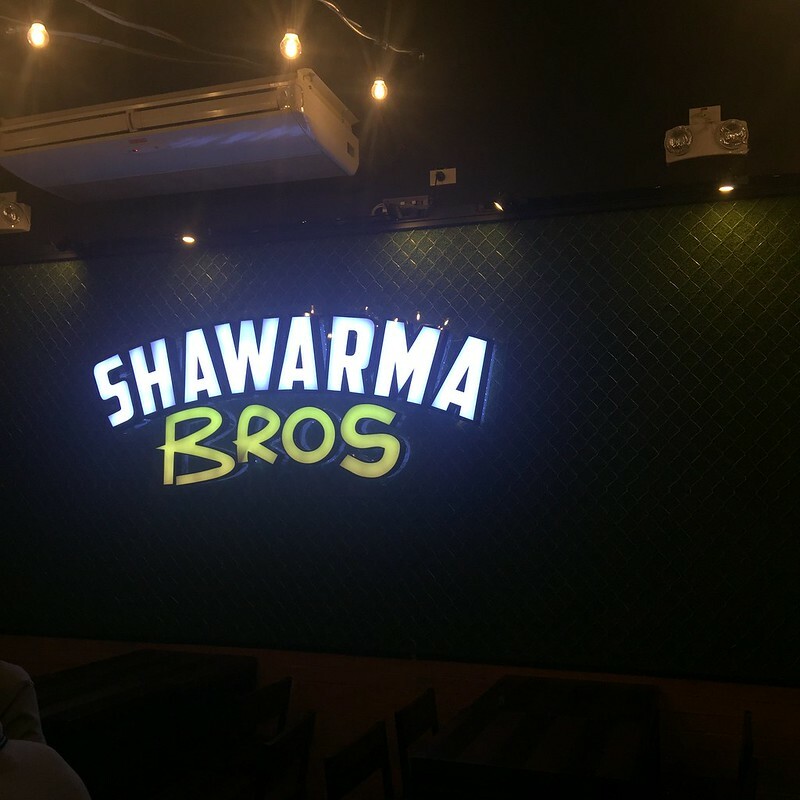 Hence, Shawarma Bros is actually a good place to bond with your friends with or without beer. My personal favorite is the Beef Shawarma Rice. 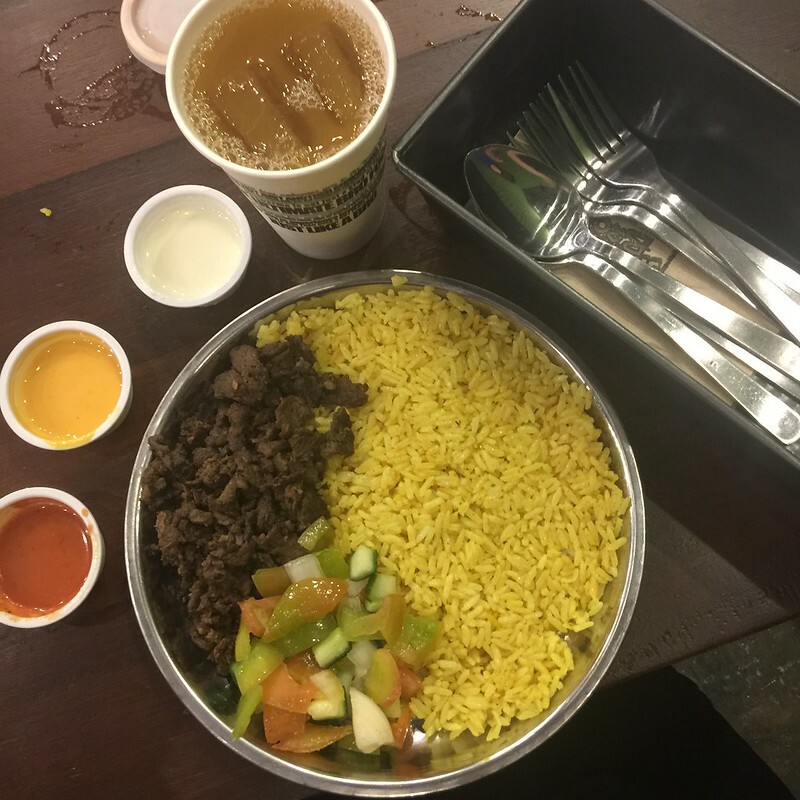 I enjoyed the yellow biryani rice that was seasoned with turmeric (and other secret ingredients) that goes perfectly with the soft, tender beef and the salsa. I must say that they offer these delicious Persian dishes at a very very reasonable price (P500 for 2!!). 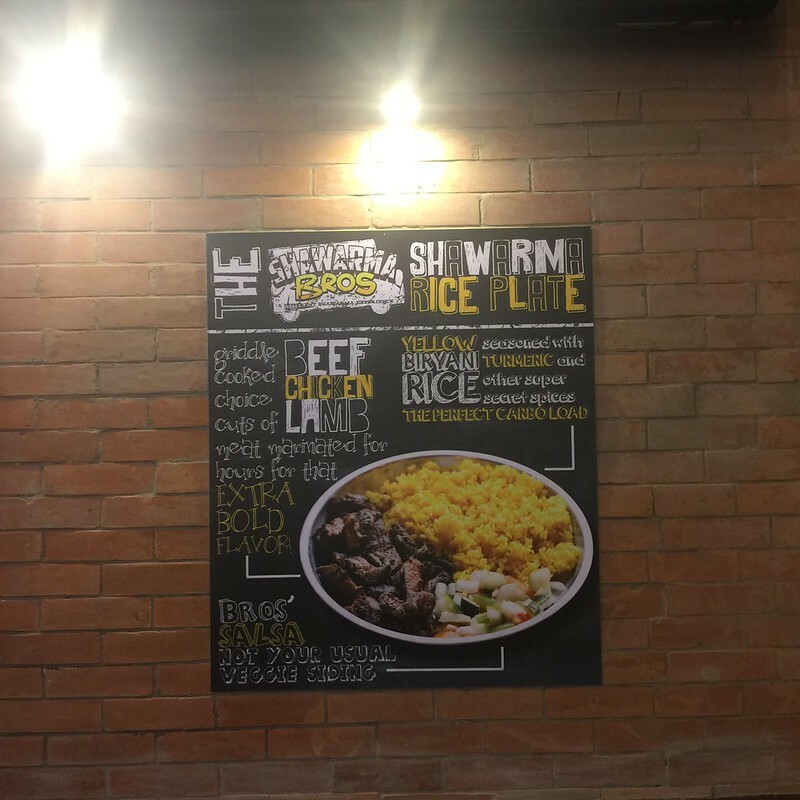 Interested to get your Persian fix at Shawarma Bros?